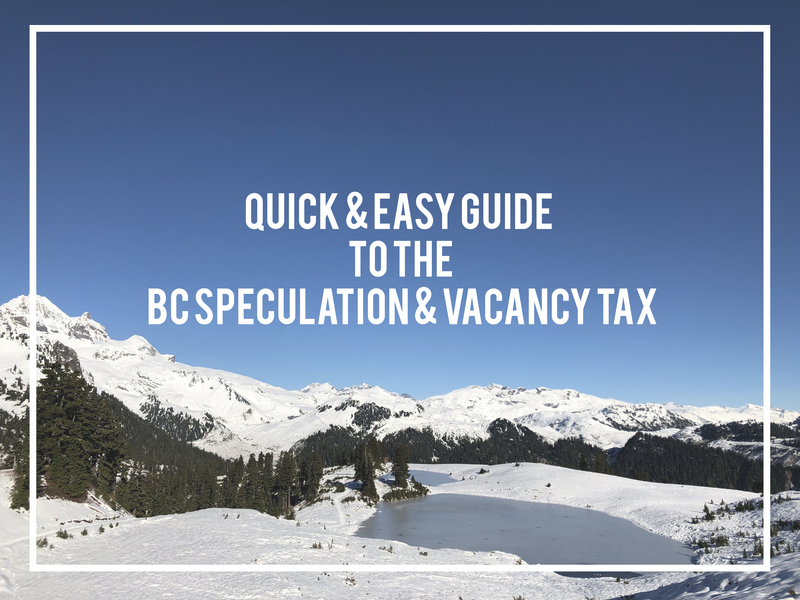 What Is The BC Speculation & Vacancy Tax? The tax is a part of the government’s plan to tackle the housing crisis in major urban centres in BC. What Places In BC Does The Tax Apply To? How Do I Know If My Property Is Included? You will receive a letter in the mail from the BC government. The letter will be sent to your mailing address on file with BC Assessment by mid-February. If you own a property, you will need to complete a declaration even if you won’t be required to pay the tax. To claim your exemption, you must register your property by March 31st, 2019 by phone or online. Note: If your property has more than one owner, even if the other owner is your spouse, a separate declaration must be made for each owner. How Will The Tax Be Charged If You’re Not Exempt? The tax rate varies depending on the owner’s tax residency and whether the owner is a Canadian citizen or permanent resident of Canada or a member of a satellite family. If you do not complete the declaration for exemption by March 31st then you will receive a tax notice in April with payment due July 2nd, 2019. For more information, visit the Government of BC website.